For the best results, preheat the press, and remember that it is better to cook a sandwich on lower heat for a longer time (rather than on high heat) so that the bread turns crisp and toasty without burning. Preheat the press. Spread 1 teaspoon of Mission Fig or Date & Cherry Balsamic spread on each slice of bread. Place the ham on one slice and the mozzarella on the other. 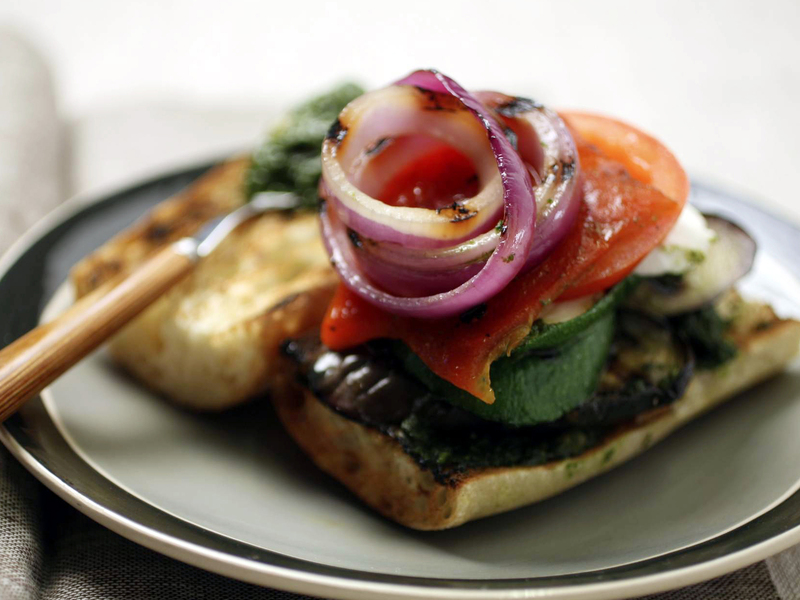 Close the sandwich and, using a pastry brush, brush grapeseed oil on the outside of the sandwich. Place on the panini press and grill until crispy and golden, about 4 minutes. Garnish with chopped basil leaves. This one is beautifully decorated with onions and tomatoes.